With the Infrastructure development needs of the country, the amount of sand and gravel aggregate increased year by year, high-quality sand and gravel aggregate is in short supply, led to the building of a large number of the quarry, there are many quarry equipment manufacturers currently , there is a big difference between the strength of the various manufacturers, equipment quality is also good and bad, what is the general quarry production process? 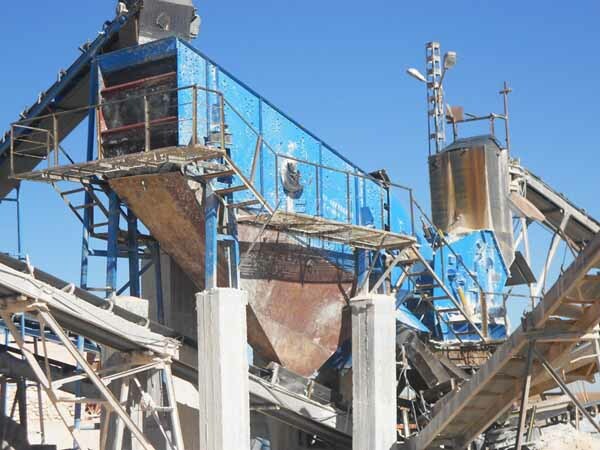 How to make the quarry plant configuration more economical and more efficient? Chunks of stone quarrying production equipment evenly through the vibrating feeder by jaw crusher for primary crushing, stone after crushing by belt conveyor to the crusher for further crushing; stone after crushing sent by belt conveyor vibrating screen for screening, screening out several different stone sizes to meet the size requirements of stones taken from the finished product conveyor belt stockpiles; does not meet the size requirements of stone materials by conveyor belt back sent to the crusher crushing again, forming a closed loop several times. Finished size can be combined and graded according to the user's needs, protect the environment, can be equipped with auxiliary dust removal equipment.